Hand made lampwork glass beads by a friend of mine. They have been properly annealed in a kiln. 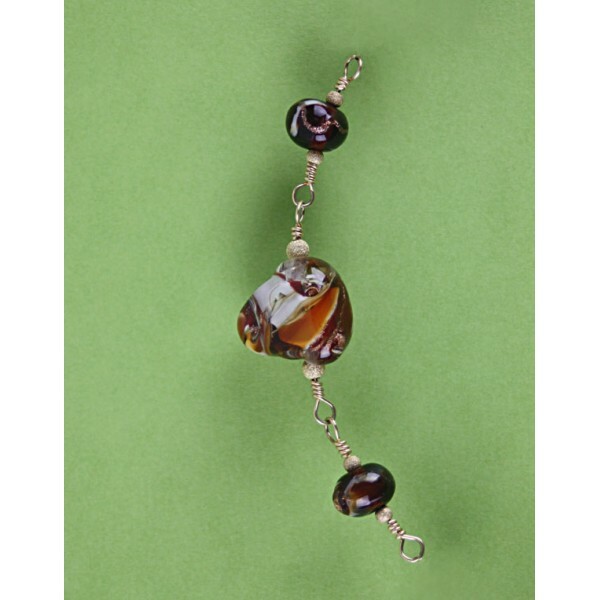 Wire wrap bracelet is a statement piece for the discerning lady. size is about 9.5 inches long. Wire is 14 karat gold filled and spacer beads are the same. 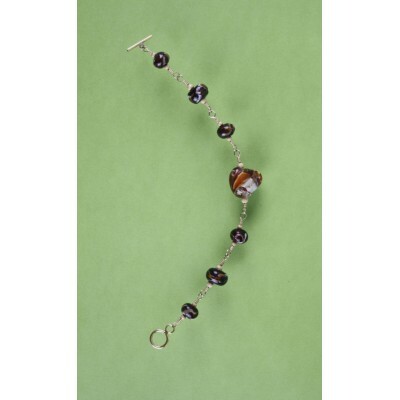 Second picture shows a close up of the focal bead in the bracelet. 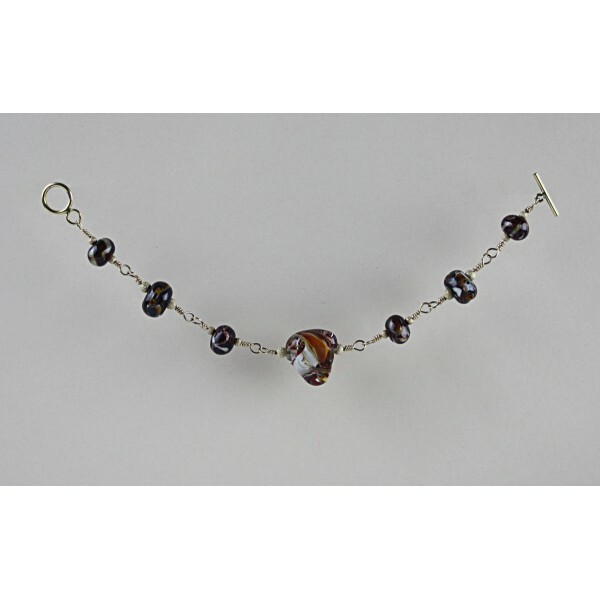 Toggle clasp.